Which Way With Secondary Education? 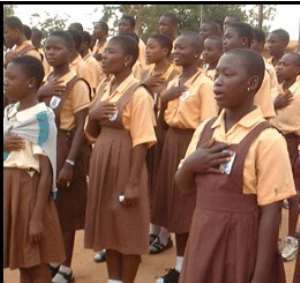 Asks Joe Kingsley Eyiah, Ontario Institute for Studies in Education of the University of Toronto in Canada Recent news reports from Ghana indicate that the government is planning to increase the duration of Senior Secondary education in the country from 3 years to 4 years. Also, President Kufuor is reported (GNA, October 14, 2004) to have announced that under the new educational reforms to be introduced soon for the next 10 years, the State would partnership with the private sector to assist with the implementation of compulsory one year apprenticeship for Junior Secondary School leavers before they entered the Senior Secondary School to pursue their various careers. Should these proposals be implemented, duration of Secondary education in Ghana will be 8 years instead of 6 years as at present. Will such new education policy in Ghana make secondary education cost effective? Will the long years of secondary education improve the quality of education? Won't Ghana be left behind in the rapid wind of educational reforms sweeping across the world? I will attempt to discuss here a few of the issues that such questions raise about secondary education in Ghana. Crucial Changes in Education: The world over, crucial changes, quite unprecedented are taking place. Countries are more integrated into a global village affecting each other's environment, economy and culture. The world is getting smaller and at the same time the gap between the rich and the poor countries keeps widening. Undeniably, underlying all these tremendous changes is education-good education with relevance. Education has been the major facilitator and catalyst in the astonishing changes and transformation sweeping through the world today. The role of formal (school) education in the liberation of the individual mind as well as economic dependence and in national development is therefore quite obvious. Thus, education pays off not only in literacy but also in income! It is therefore quite obvious that education is very imperative to the sound development of individuals and nations. Every country ought to provide its people with qualitative and “not only quantitative” education! Reforms in the educational systems of countries like Norway, Australia and Canada, to mention a few, seek to make pre-university/tertiary education cost effective. For example, in Ontario-Canada, High School (secondary) education has been reduced from five years to four years (Grades 9 to 12 instead of Grades 9 to 13). Thus, in Ontario a student has eight years of elementary education and four years of secondary education before entering university or college. This smooth run up the ladder of education in Canada makes pre-tertiary education cost-effective. Twelve years of pre-university/college education instead of fourteen or sixteen years! Before Rawlings Junior Secondary and Senior Secondary Schools reforms (JSS & SSS), Ghana had a primary (basic) education of six years, middle school education of four years and secondary education of seven years before university education. Pre-university education at that time was seventeen years! The JSS & SSS reforms reduced the duration from seventeen to twelve years. However, the new secondary education proposals under Kufuor's administration when implemented will increase the duration again from twelve years to fourteen years (three years JSS, one-year compulsory apprenticeship after JSS and four years SSS)! The “Saga” of Formal Education in Ghana: But it would not be far-fetched to surmise that education in Ghana today is apparently in crisis - from the JSS through the SSS to the tertiary institutions. There is so much uncertainty about and mismanagement of the educational policies initiated by the PNDC government, which were strongly supported by the World Bank. Though things are not as expected, all is not lost yet. Ghana like many other countries around the world has, over the years, sought to improve its education system by introducing reforms and making projections based on the education needs of the country. However, the basic education in the system is yet to experience the impetus the will fortify it as a strong foundation for the child's educational journey. Hence, the appalling results in the Senior Secondary School Certificate Examinations over the years. Basic education under the former system was 10 years in duration and Secondary education 6 years. Thus, making pre-university education in the country 16 years. This was not cost effective. So to reduce the duration of pre-university education in the country the government introduced the Junior Secondary School (3 years after 6-year primary school) and the Senior Secondary School system as part of the education reform in 1998. A policy document on basic education improvement sector program put together by the government in 1996 to ensure Free Compulsory and Universal Basic Education (fCUBE) for all outlines government intentions for basic education in these words, “The Government is committed to making schooling from Basic Stage 1 through 9 free and compulsory for all school-age children by the year 2005. Through the components of its program for Free Compulsory and Universal Education, the Government of Ghana is committed not only to achieving universal access to basic education in ten years, but also to IMPROVING THE QUALITY OF EDUCATION SERVICES OFFERED” (emphasis supplied). One can conveniently argue that we are yet to see any improvement in the quality of education offered at the basic level which has greatly impacted secondary education in the country since the implementation of the education reform. President Kufuor stated during his recent campaign tour to Navrongo that the New Education Policy to be introduced in Ghana next year would be a landmark in the country's education (Oct. 25, GNA). As much as we welcome any changes in our educational system by any government to improve the quality of education in Ghana, we would also like to caution all politicians not to play 'guinea pigs' with our secondary school students. Graduates from the JSS and the SSS over the years have been products of 'experiments' by politicians under the IMF's dictates. Kufuor's administration should rethink the duration of secondary school (education) under its soon to be implemented new education policy. What we mostly need is the injection of proper management of education in Ghana; the provision of basic infrastructure and teaching/learning materials to all secondary schools; improvement in teacher education; and proper supervision of teachers as well as improvement in basic education (K-G to Primary 6) which forms the foundation of the child's educational journey! In the absence of these no long years of secondary education or any amount of compulsory apprenticeship for JSS graduates will bring improvement in the quality of secondary education in Ghana. Yes, we welcome new landmarks in the country's education but we must be weary of landmarks, which are mere political shows without proper foresights. I hope my good my friend, Mr. Nsowah (I worked closely with him on many teacher education programs during the 1980s) who is now the Acting Director General of the Ghana Education Service will professionally and strongly advise the government of Ghana on any new policies that seek to improve the quality of education in Ghana. Views expressed by the author(s) do not necessarily reflect those of GhanaHomePage.